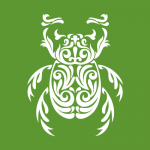 We are proud to work with some of the best organisations in the industry. You can read more about our partners and associated companies below. Rocare provides world-class construction, restoration and fit-out to an extensive list of clients, from household names such as Santander, Nationwide and Costa Coffee, to specialist high-end restoration projects. They are proud to have recently completed a specialist restoration project at Kensington Palace. Rocare strives to maintain open and honest relationships with all of their clients, and prides themselves on delivering the highest quality and best value on every project, large or small. 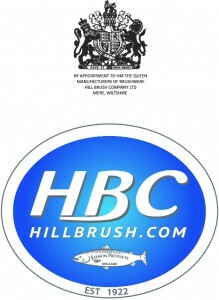 The Hill Brush Company Ltd (HBC) is one of the largest UK based manufacturers of brushware and hygienic cleaning tools. They have been manufacturing the highest quality products since 1922 and are the home of leading brand, Salmon® Hygiene Technology, encompassing the pinnacle of food-safe cleaning equipment. They are at the forefront of product innovation, pioneering the Resin Set DRS® filament retention system and Total MDX Hygienic Tools®. With distribution partners in over 90 countries and a dedicated team of experts, HBC’s extensive manufacturing capabilities were recently acknowledged by Wiltshire Council’s Enterprise Team where they were awarded Best Manufacturer and Company of the Year. This prestigious, British company are holders of the Royal Warrant and never cease in their pursuit of fine quality products and supreme customer service. Take a look at the website, for further details. 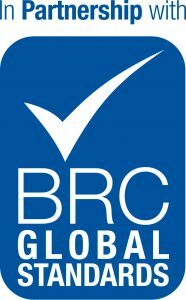 The BRC Global Standard is a leading safety and quality certification programme, with approval issued through a worldwide network of accredited certification bodies. As part of our commitment to product excellence and industrial development, Rokill has become a BRC partner. We are excited to be part of this select network of companies, committed to promoting the BRC Global Standard. Visit the BRC Global Standards Website for more information. Established in 1979, SOFHT was created by a group of professionals to represent the interests and views of everyone involved in food hygiene, across all disciplines. Rokill regularly attends SOFHT training events to ensure our teams are up to date with the latest industry trends and legislation. Rokill also deliver training events in partnership with SOFHT. Rokill sponsor the SOFHT awards. Visit the SOFHT Website for more information. The Royal Warrant recognises companies who provide fine quality goods and/or services to the Royal Households. 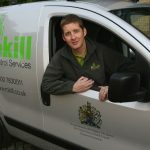 Rokill was awarded the Queen’s Royal Warrant for pest control in 2000 and is delighted to be part of the Royal Warrant Holders Association.